Voted second on Modern Drummer's list of 25 Greatest Drum Books in 1993. 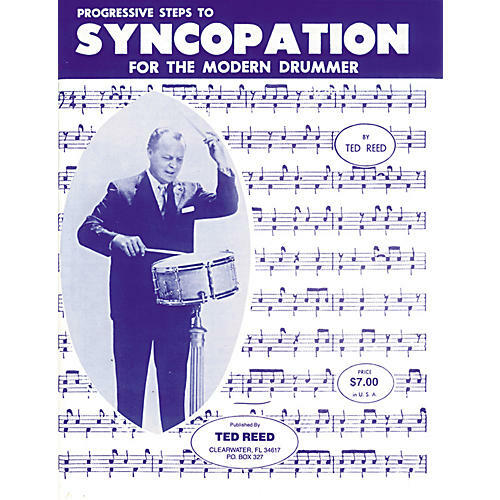 Progressive Steps to Syncopation is one of the most versatile and practical works ever written for drums. Created exclusively to address syncopation, these drum lessons have earned their place as a standard tool for teaching beginning drummers syncopation and strengthening reading skills. This instructional book includes many accented eighths, dotted eighths and sixteenths, eighth-note triplets and sixteenth notes for extended solos. In addition, teachers can develop many of their own examples from it.